In 2012, Donna and Mack McLarty and their family supported a group of Vital Voices staff members and University of Arkansas students and faculty on a service trip to Ghana. Inspired by the success of the trip, the McLartys established McLarty Scholars to provide University of Arkansas Clinton School of Public Service graduate students with opportunities for interdisciplinary learning and research development at Vital Voices and Georgetown University’s Institute for Women, Peace and Security. Donna Cochran McLarty is an advocate for worldwide efforts to support women, children and families—and a champion of international education, cultural diplomacy and interfaith dialogue. She is a co‐founder, board chair emeritus and current board member of Vital Voices. 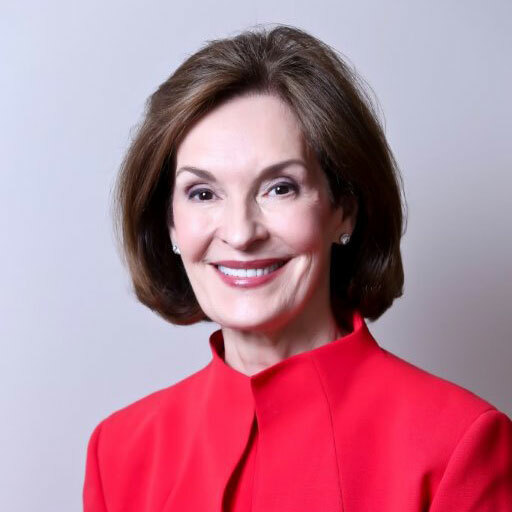 Mrs. McLarty serves as a member of the Board of Advisors at the University of Arkansas, is a former trustee on the board of the John F. Kennedy Center for the Performing Arts, and continues to work on Kennedy Center cultural diplomacy internationally. She also serves on the Board of Trustees of Blair House, the President’s guesthouse for visiting dignitaries. She has been actively involved in the Meridian International Center, where she was a longtime board member and served on the Board of Directors for the Women’s Foreign Policy Group. Additionally, Mrs. McLarty is a trustee of Religions for Peace and co-chaired the Global Initiatives Council as a trustee at Wesley Theological Seminary. In her home state of Arkansas, Mrs. McLarty has been recognized with the Arkansas Community Service Award for her work with Arkansas non-profits, the American Gas Association Humanitarian Award and, together with her husband, the National Conference for Community and Justice Humanitarian Award. Thomas F. “Mack” McLarty, III is Chairman of McLarty Associates, which he co-founded in 1998 following a distinguished record of business leadership and public service, including various roles advising three U.S. Presidents: Bill Clinton, George H. W. Bush and Jimmy Carter. 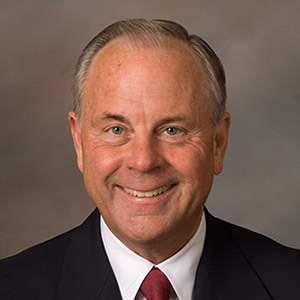 Mr. McLarty is also Chairman of McLarty Companies, a fourth-generation family transportation business. As President Clinton’s White House Chief of Staff, Mr. McLarty helped enact the historic 1993 deficit reduction package, the North American Free Trade Agreement, the Family and Medical Leave law and the landmark welfare reform legislation that enabled more than 6.8 million people to move from welfare to work. He also organized the successful 1994 Summit of the Americas in Miami, which ultimately led to his appointment as Special Envoy for the Americas in 1997. Mr. McLarty is a frequent public speaker and has published numerous articles on U.S. trade and foreign policy. He has served on the boards of many corporate and non-profit institutions, including as a Director of Union Pacific and the Acxiom Corporation and on the boards of the Bush Clinton Katrina Fund, the Council of the Americas, the InterAmerican Dialogue, Ford’s Theatre, the Center for the Study of the Presidency and the Partnership for Public Service. He also serves as a Senior International Fellow at the U.S. Chamber of Commerce and is a member of the Council on Foreign Relations. The McLarty family also funds University of Arkansas fellowships for students in the J. William Fulbright College of Arts and Sciences, which allows students to attend biannual workshops at the Center for the Study of the Presidency and Congress through the Presidential Fellows program in Washington, D.C. At the Sam Walton College of Business, the McLarty Study Abroad Scholarship annually supports international study for undergraduate and graduate students.